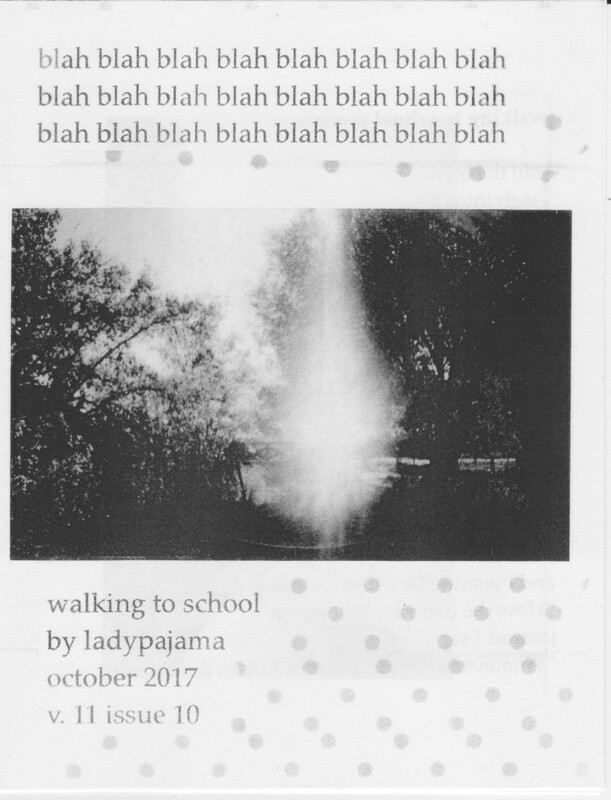 This is my October zine. I love it so much. It is my favorite zine in a really long time. It is pretty simple, it is one poem about walking Jorge to school. I love it so much I thought about posting all the content on this blog. I might. It is also a photo essay of the walk to school taken with my fuji instax (which is basically a modern day polaroid). You can purchase a copy on etsy. So when I was posting it to etsy I realized that it is supposed to be volume 12, not 11. And then I realized that the majority of the zines I have made this year I have put volume 11 on, not 12. It is so weird to not be mindful of that. To not remember. I don’t know it is weird. Maybe I have been making this zine for to long.